This kit uses the bright prints of Moda's "Me & My Sister" designers. Yankee Pride's tips are included to supplement the commercial pattern. 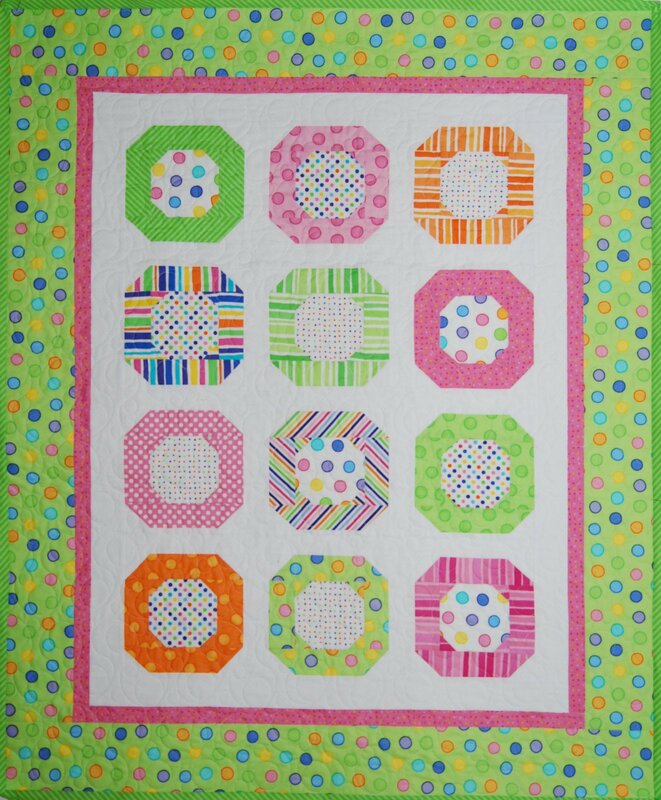 This kit makes an adorable baby quilt! Judy took the original pattern and made some changes, so those are written up and included with the commercial pattern directions. All fabrics for the top and binding are included.